After a walk around Lime Wood’s grounds and enjoying all the different colours of the changing autumnal leaves, I realised it was time for my pamper session at the Herb House, so his Lordship and I walked the short distance from our room to the Herb Garden spa. 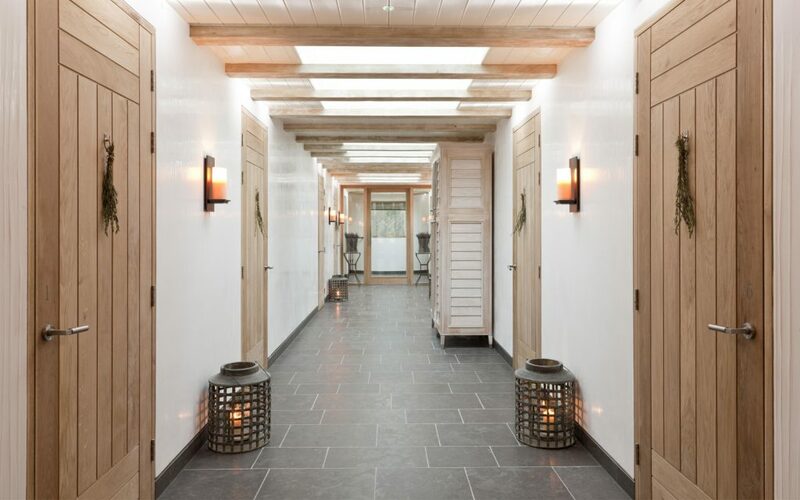 On entering the spa, we were impressed by how well the design and the use of natural stone blends in with its setting in the historic estate. The first thing you notice is the light and use of natural materials with the subtle infusion of aromas, then you are greeted warmly by one of the team who takes your details. I was welcomed by Morag, who took me down a spiral staircase where a lovely wooden art sculptural which took centre stage, subtly lit as everything is in the Herb Garden to make you feel relaxed. I was shown to the changing room which had everything a Lady requires, shower cubicles, hair and body products and even large bath tubs to soak in should you wish to after any of the therapies. After changing into my robe and flip flops, I was taken to a warm candlelit room where I was encouraged to completely relax. First, my feet were immersed in a warm rose scented bath, which was the beginning of Morag’s marvellous massage. Morag’s Scottish accent was calming to the senses, along with the soothing scent of aromatherapy oils diffusing across the room. Morag discussed which would be the best oil to use on my full massage and I feel her knowledge and passion about the treatments available in aromatherapy is endless. The massage provides a complete body work out using techniques that have been practised for centuries. The therapy was sublime. It relaxed my tight muscles and the movements allowed the energy-giving properties of the products to to work their magic across my body. 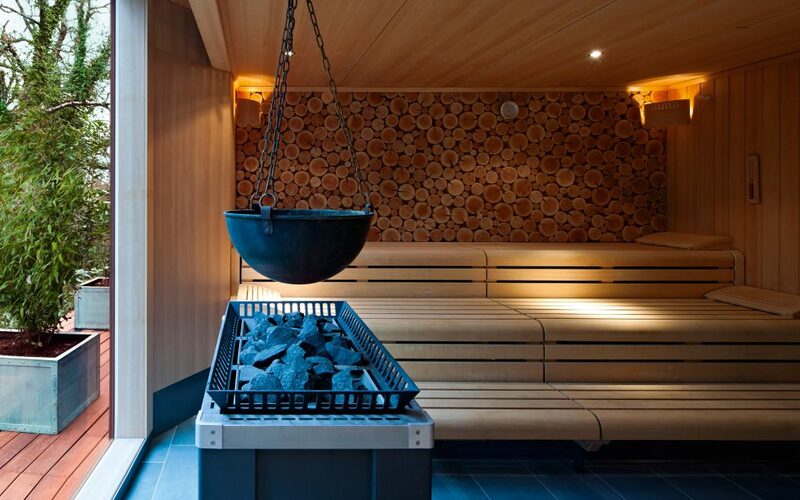 There are a number of spa packages to choose from at Herb House, ranging from spa days with or without treatments, with or without lunch, but all including use of their award winning facilities. 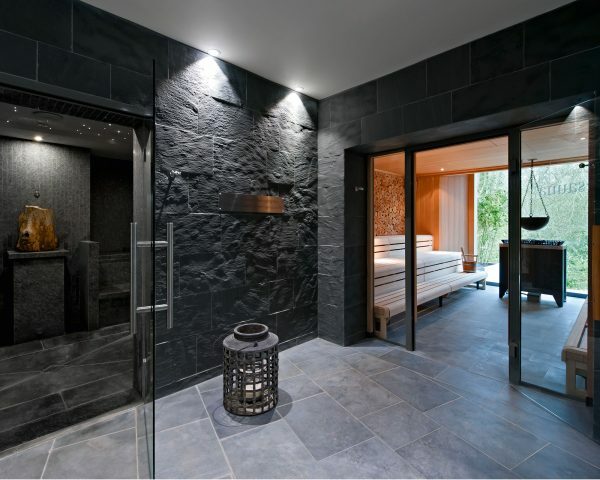 They have a mud house and massage suite and, for some extra time with your loved one, they have designed the ultimate relaxation and privacy in a double treatment room. You can book a treatment for two for some perfect quiet time together, which would be a romantic treat for Valentine’s Day. 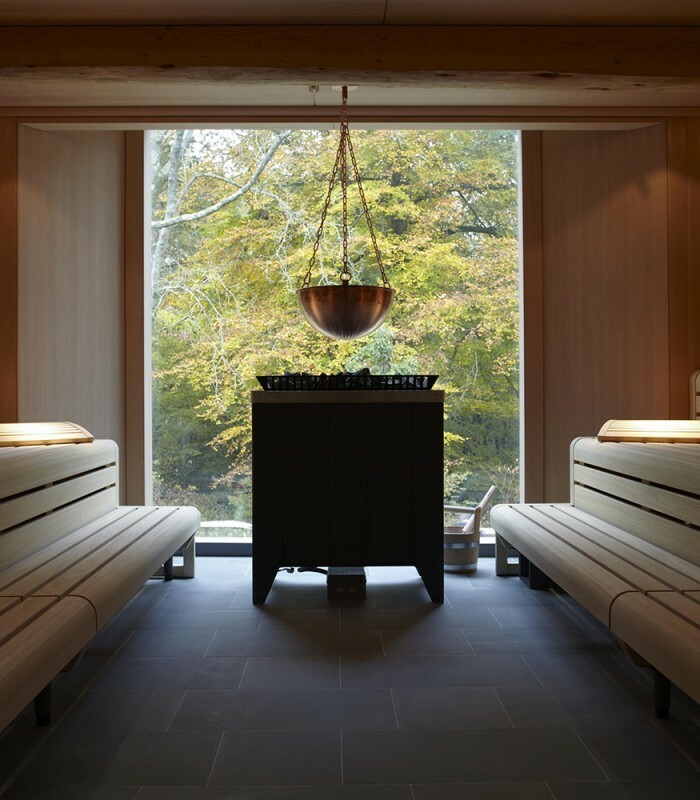 As part of the packages you can have a full body massage with wonderful aromatic oils and then you can enjoy their Lap Pool, gym, outdoor hot pool, plus the Hydro Pool and Sauna with stunning views of the Forest, guaranteed to bring you into a wonderfully relaxed state of mind and body. 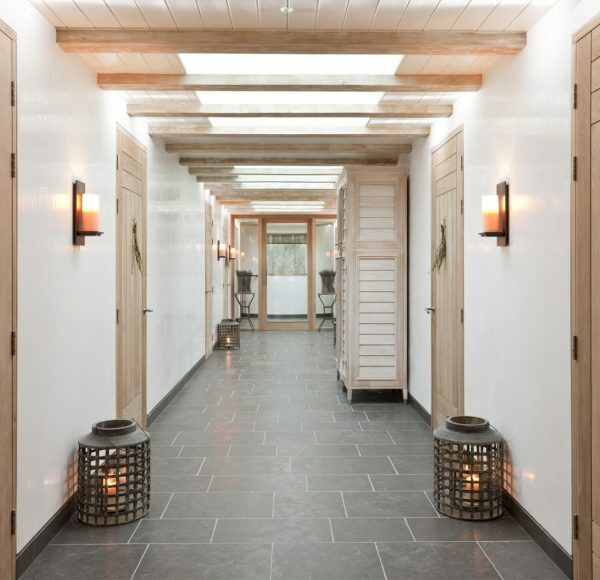 All the spa packages are tailor-made for you so the world is your oyster and the facilities are also open to all the guests of the hotel, so why not book a treatment or just enjoy the facilities while staying at the beautiful Lime Wood Hotel? Herb house is inspired by the wonderful surroundings of nature the beautiful New Forest surrounds it on all sides giving it a magical view from the roof terrace which is a living herb roof so you have the wonderful aroma while taking in the panoramic view an experience not to miss. After the treatments you can laze and listen to music in the relaxation lounge, have a herbal tea as well as unlimited soft drinks, and you can borrow an iPod or just take your own and drift off in marvellous serenity. 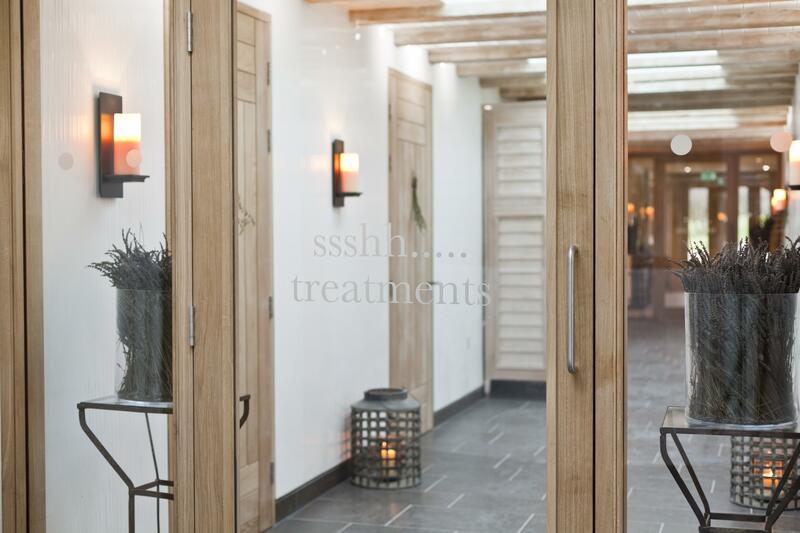 Spend an hour or so at the Herb Garden spa and you will come away feeling refreshed and relaxed – a new woman to be precise! You will notice that your shoulders have relaxed, that your mind feels clearer and that your skin is glowing. There are not many places where you can retreat from the world and allow your mind and body to completely switch off, but with Morag’s hands wielding their marvellous magic, this is definitely one of them.